We recently rescued a Karakul ram lamb whose mother died. We named him Ali Baba. We have bottle fed him and raised him with the dogs, which the lamb seemed to think was just fine. The dogs never were too excited about having a ram as their colleague. 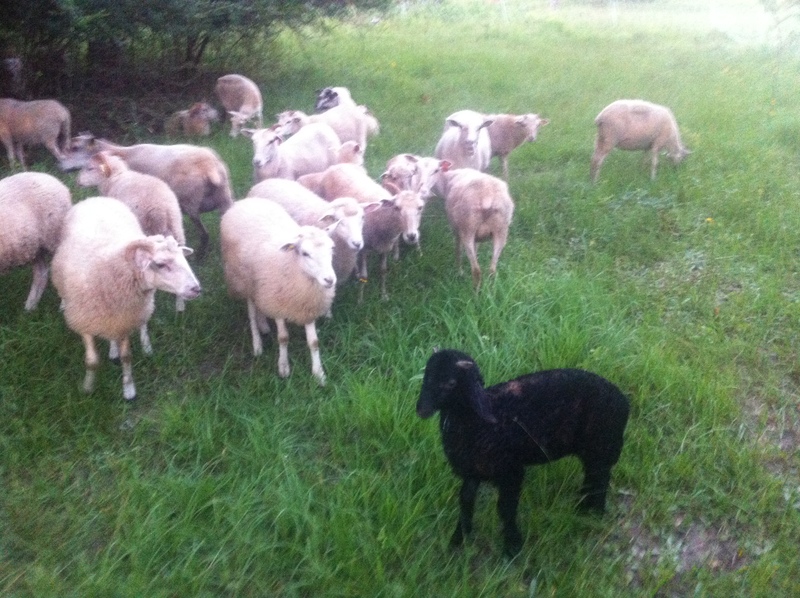 This week we decided to integrate the little ram into the flock of sheep. We figured that he would have a rough time and monitored the situation carefully. He was sad and lonely but the reaction of the other sheep was the surprise. They were fearful. They escaped their electric fences to get away from this little ram. This ram was 30 pounds and the other sheep averaged about 100 pounds. One of the things I like about sheep is that they are creatures of instinct. If you can interpret their instinctual response you will know what they are doing. I never suspected that they would react the same to a little ram lamb as they react to a dog. Sit! Stay! Baa! He is back with the dogs. Previous Article How do we farm without land?